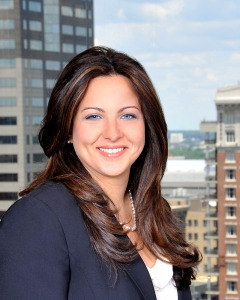 No Attorney-Client Relationship Created by Use of this Website: Neither your receipt of information from this website, nor your use of this website creates an attorney-client relationship between you and The Law Office of Anne Z. Sedki. 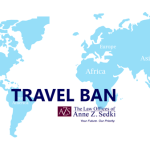 As a matter of policy, The Law Office of Anne Z. Sedki does not accept a new client without first investigating for possible conflicts of interests and obtaining a signed engagement letter. Accordingly, you should not use this page to provide confidential information about a legal matter of yours to The Law Office of Anne Z. Sedki. No Legal Advice Intended: This page includes information about legal issues and legal developments. Such materials are for informational purposes only and may not reflect the most current legal developments. These informational materials are not intended, and should not be taken, as legal advice on any particular set of facts or circumstances. You should contact an attorney for advice on specific legal problems. No Guarantees: Any statement, testimonial, or endorsement contained herein does not constitute a guarantee, warranty, or prediction regarding the ultimate result or outcome of your legal matter. If any result of any legal matter is portrayed in this web site, please note that the result portrayed in the advertisement was dependent on the facts of that case, and that the results will differ if based on different facts. Links: Any link from this web site to the web site of a private, governmental, educational, or other non-profit entity’s web page does not state or imply the existence of a relationship between The Law Office of Anne Z. Sedki and that entity.